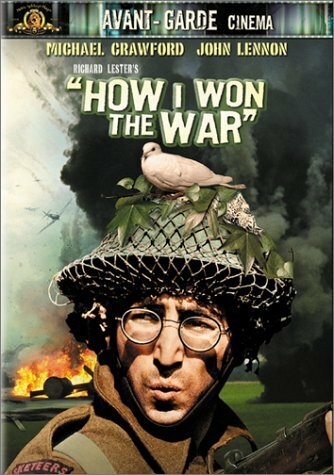 In preparation for his role in Richard Lester’s film “How I Won The War“, John Lennon was given an army-style haircut and a pair of new glasses to wear. This was the first time Lennon wore his soon-to-be-trademark wire-rimmed “granny” glasses in public and he was rarely seen without them after. From the late ’60s and throughout much of his later life, his “Windsor glasses” were the one thing about his image that remained constant. 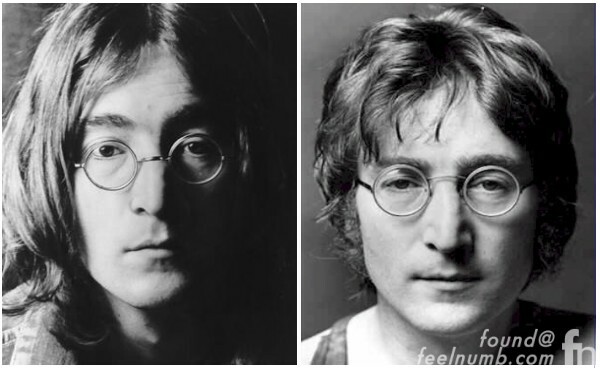 In the early days of The Beatles, Lennon mostly wore contact lenses but during the later Beatle years and during his solo career, he always wore the glasses. 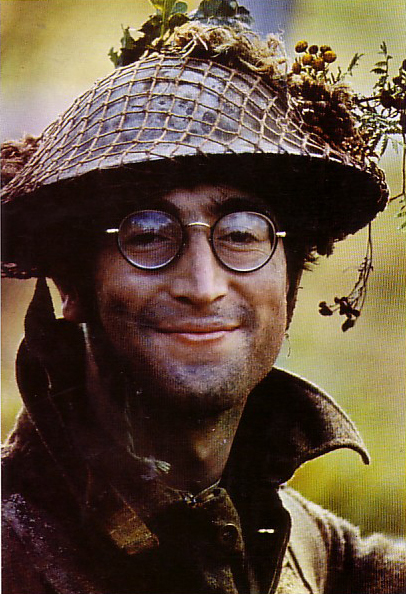 Most of his iconic photos that are on posters and shirts around the world are photos of Lennon with glasses such as these two below. The Windsor style was introduced in 1880 and remained popular until after the first world war. Characteristics of this style are: round lenses, a nose saddle (no nose pads), and temples that loop behind the ear. Windsors came in silver, roman steel, gold filled, white gold filled, and nickle. Often, the lenses and sometimes the temples were covered with Zylo (celluloid). Common Zylo colors are black, brown, blond, and tortoise shell. 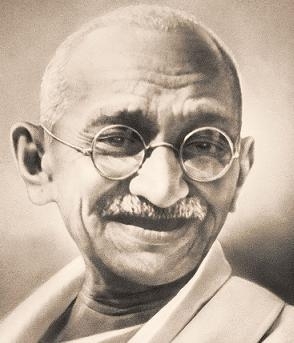 This style was worn by others as well, such as Ernest Hemingway, Groucho Marx, Theodore Roosevelt, William Hurt, Mahatma Gandhi, Joseph Stalin, and of late by David Letterman, and Whoppie Goldberg. Lennon is credited with making those Windsor eyeglasses famous, but a much lesser known musician named Fritz Richmond was seen and photographed years earlier, in 1963, wearing a similar style that would influence performers such as Jerry Garcia and Janis Joplin. You can still find the vintage “Windsor” Lennon glasses at vintage stores or ebay. If anybody knows the exact model that Lennon used send us an e-mail or leave a comment below. Man! All I can ever say is how much I love your blog! Still reading after all of these months, following you on twitter! There is NO other blog out there like this! Just amazing. I wish I could comment all of your posts with my expressions of happiness and love. Please keep doing what you are doing! Are you ever going to do a book? I would LOVE a hardcopy of the stuff you dig up! Thank you so much Jennifer. Never thought about making a book but sounds like it would be fun. You can help us out also, by re-tweeting, putting our stories on stumpleupon.com and facebook. Or simply by supporting our advertisers on feelnumb.com. 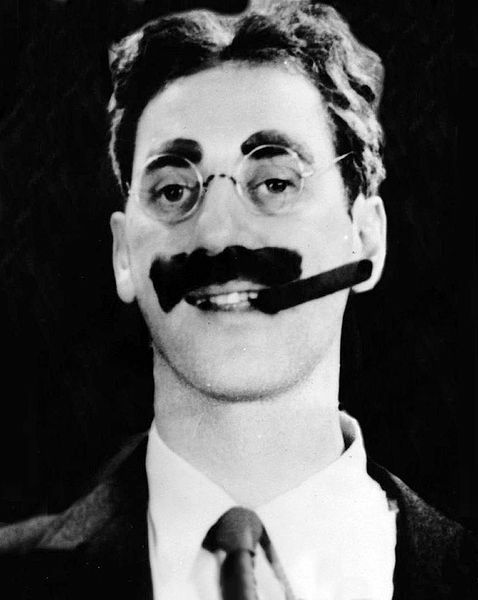 The Groucho photo is not really Groucho Marx. 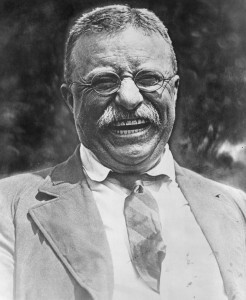 It is Frank Ferrante. Just an FYI…… Love your blog!! Thanks Steve…I\’ll get that fixed.